Professional MMA fighters compete in one of the world’s most dangerous combat sports. MMA stands for mixed martial arts, although the sport is also known as extreme combat and no-holds-barred fighting. It’s a sport that has achieved increased popularity in recent years thanks to the Ultimate Fighting Championship (UFC) franchise and reality TV show The Ultimate Fighter. Competitors come from a variety of disciplines; for example, Rhadi Ferguson competed at the 2004 Olympics in judo, and Sam Hoger started a Brazilian jiu-jitsu club at his university. But despite the fact that they compete in a dangerous sport where knockouts are common, there are MMA fighters who have done more than just study martial arts. Some famous names have completed undergraduate, postgraduate and even PhD degrees in subjects that may astound you. Read on for 10 surprisingly well-educated MMA fighters. You might not expect many MMA fighters to have a degree, but the man they call “The Engineer” has two. Shane Carwin (on the left in the image above) earned a bachelor’s degree in Mechanical Engineering at the Colorado School of Mines and a bachelor’s degree in Environmental Technology at Western State College. Not a bad record for a man with an equally impressive sporting résumé. While he was at college, Carwin was twice the heavyweight NCAA Division II Wrestling National Runner-Up. And in 1999, he became the NCAA II National Wrestling Champion. Playing for Western State, Carwin’s football skills were also noted, and he was picked for the Senior Bowl. But it was in MMA that he made the biggest impression. Carwin won his first eight fights by first-round stoppages and fought his way up to become Ring of Fire heavyweight champion prior to joining the UFC. Amazingly, while progressing in the UFC, Carwin has continued to work as an engineer. 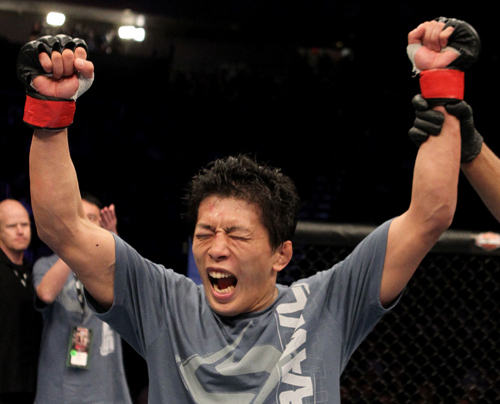 Takeya Mizugaki is a bantamweight mixed martial artist from Japan. Since he began his MMA career in the US in 2009, he’s had a mixed bag of wins and losses but has received praise for his ability as a fighter – particularly as the first opponent to push former bantamweight champion Miguel Torres to five rounds. In 2005, Mizugaki began his fighting journey in his native country. MMA started becoming popular while he was still in school, and he wanted to give it a go. He started appearing in Shooto and Cage Force fights before graduating from college. And when Mizugaki completed his master’s degree in Electrical Engineering at Kanto Gakuin University, he continued with his MMA career. Added to his current record of 16 wins from 25 fights, Mizugaki has won the Cage Force bantamweight championship once and received World Extreme Cagefighting Fight of the Night honors twice. 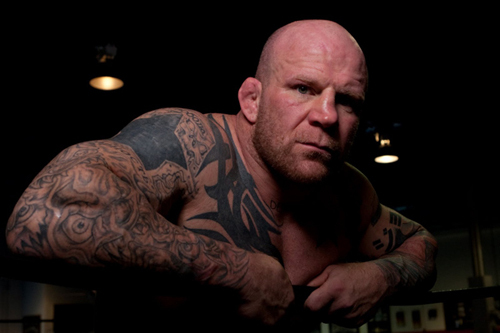 Jeff Monson stands out from the crowd. He’s nicknamed “The Snowman” because opponents have said he’s white, compact, and seems to get stronger and larger the more he competes – much like a rolling snowball. Monson has won a number of heavyweight championships since his 1997 MMA debut. But if he’d not found such success in MMA, his life could have been very different. He has both a bachelor’s and a master’s degree in Psychology and previously worked as a mental health professional in crisis evaluation and child and family counseling. Eventually, however, he devoted himself fully to mixed martial arts. Despite his considerable career, Monson has also gained notoriety out of the ring. A self-proclaimed anarchist, he pleaded guilty to malicious mischief in 2009, after being arrested for painting the pillars of the Washington State Capitol building with anarchist and anti-war graffiti. 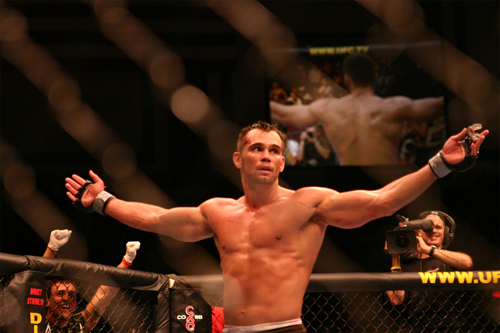 Former UFC middleweight champion Rich Franklin began his MMA career at the age of 25. Nicknamed “Ace” due to his likeness to Jim Carrey (as Ace Ventura), Franklin has alternated between the middleweight and light heavyweight divisions, achieving notable success in both. Franklin successfully defended his middleweight title twice and has also been given one Knockout of the Night and two Fight of the Night awards. In addition, he is a former International Fighting Championship (IFC) champion. Still, had Franklin not seen a flyer for a local fight some years ago, things might have been a little different. Before embarking on his MMA career, he attended the University of Cincinnati, achieving a bachelor’s degree in Mathematics and then a master’s degree in Education. After graduating, he taught math at Oak Hills High School in Cincinnati. And in 2006, the mayor of Cincinnati made February 21 “Rich Franklin Day” in his honor. 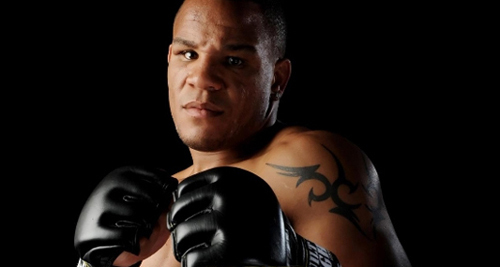 Terry Martin started his MMA career in 2002, and since then he has amassed a number of notable wins against big-name fighters like Chael Sonnen, Ivan Salaverry and Jorge Rivera. His great success is, moreover, particularly impressive when considering how different his life could have been. Hailing from the west side of Chicago, Illinois, Martin found himself embroiled in gang culture from a young age. In 1996, when he was 15 years old, the future MMA fighter was almost killed after he was shot in his back, legs and chest in a drive-by shooting. His survival prompted him to focus on education rather than gang culture. Martin went on to obtain a bachelor’s degree in Psychology and a master’s in Clinical Psychology. What’s more, he is at present studying for a doctorate at the Adler School of Psychology. Having turned his life around, Martin now uses his MMA fame as a way to talk to kids in inner-city areas and urge them to stay in school – just as he did. 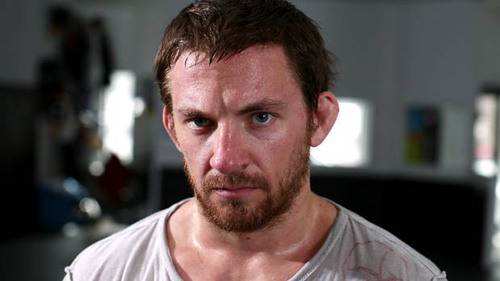 Known as the “Alaskan Assassin,” Sam Hoger rose to prominence as a contestant in the first series of The Ultimate Fighter, the successful FX Network/UFC-backed reality show that has aired since 2005. His tactics on the show, sometimes described as “Machiavellian,” won him few friends in the ring. But despite his lack of popularity, his performance was good enough for him to sign with the UFC. Before competing on the show, Hoger graduated from Louisiana State University with a bachelor’s in Political Science. And while studying at LSU, he founded the university’s Brazilian jiu-jitsu club. Hoger went on to St. Ambrose College in Davenport, Iowa to study for a master’s in Business Administration. And in 2009, he launched an MMA training center in Houston, Texas. Nicknamed “The Ninja of Love,” Nick Denis is a retired Canadian fighter and an ex-King of the Cage Canada bantamweight champion. He was also a semi-finalist in the Sengoku featherweight tournament and notched up a Knockout of the Night win in his debut UFC fight. Denis’ recent (November 2012) retirement at the age of 29 surprised many, but it had a lot to do with his academic background: he received a bachelor’s degree in Biochemistry from the University of Ottawa. It was the effects of sub-concussive trauma that concerned him most. Denis found that years of continual head trauma from sparring and fighting could have a devastating cumulative effect on a fighter’s brain. What’s more, he decided to retire when he noticed the warning signs in himself. British mixed martial artist Rosi Sexton has enjoyed more than 10 successful years as an MMA fighter, and she currently holds a record of 13 wins from 15 fights. At present, she’s ranked as the third best 125-pound female fighter in the Unified Women’s MMA Rankings. Yet while she’s dedicated to martial arts, Sexton’s academic record is formidable as well. She attended the prestigious Trinity College in Cambridge, where she completed a degree in Mathematics in 1998. And in 2003 she received a PhD in Theoretical Computer Science from the University of Manchester. 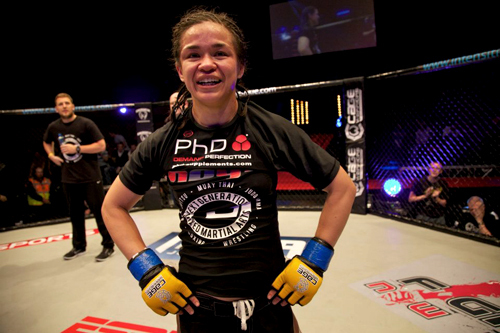 Sexton continued to mix MMA training and learning, and in 2010 she earned a degree in Osteopathy from Oxford Brookes University. Currently, she’s a practicing osteopath in Manchester, England. 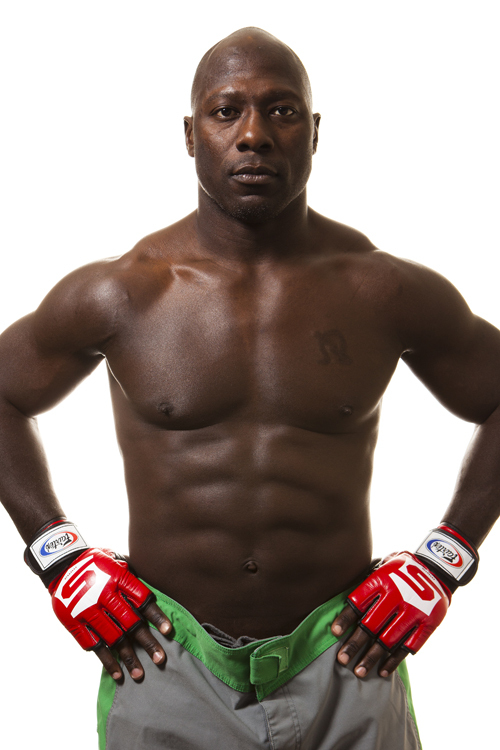 Rhadi Ferguson got into MMA late and made his pro debut in 2010 at the age of 35. Even so, he has notched up three wins (including two knockouts) so far. Ferguson’s sporting prowess prior to MMA was never in doubt. He has been US national judo champion four times and competed as a heavyweight at the 2004 Athens Olympics. And Ferguson isn’t the only MMA fighter in his family, either; his cousin is UFC legend and infamous street brawler Kevin “Kimbo Slice” Ferguson. And furthermore, prior to his MMA career, Ferguson balanced his judo expertise with a strong academic record. He went to Howard University in Washington, DC on a football scholarship, graduating with a degree in Mechanical Engineering. In 2002, he earned a master’s degree in Teaching from the same institution. And in 2009, he was awarded a PhD in Education from Capella University. With a nickname like “Mass Destruction,” you might think there’s not much else to be said about fighter Seth Kleinbeck. Yet in fact, he’s one of the most educated fighters in MMA – a fact backed up by his other nickname: “Doctor.” Hailing from Arkansas, Kleinbeck didn’t pay much attention to education in his youth, opting to join the Marines rather than go to college. But after his medical discharge for flat feet, he began to reconsider higher education. Kleinbeck worked in construction to pay his way through Delta State University and swapped to pre-med at the suggestion of a teacher who noticed his excellent results. Next, he gained a place at the University of Arkansas’ College of Medicine. And in his final year there, he took up Brazilian jiu-jitsu at his local gym and found that he excelled at the martial art. So why does the qualified doctor continue his MMA career? Well, it’s clear that Kleinbeck has room for both passions in his life. And while he enjoys growing his medical practice, he has said of MMA, “I enjoy the competition, the preparation. It gives me something to train for.” At least he’ll be able to attend to his own cuts and bruises!